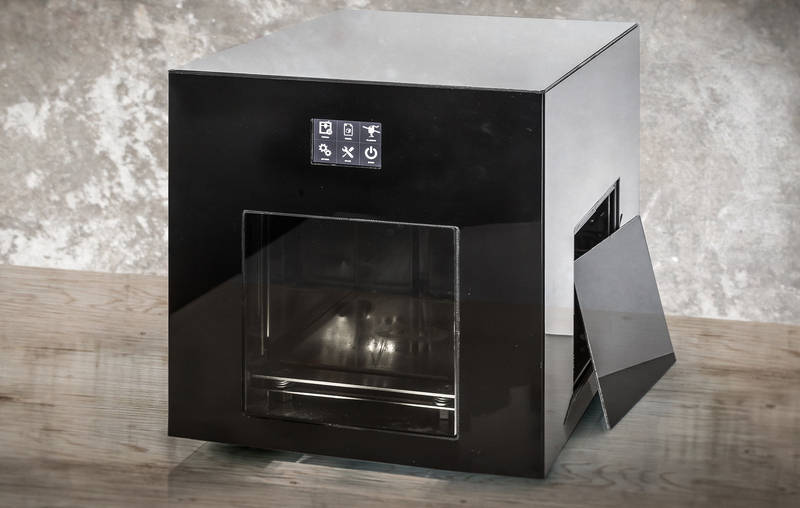 A 3d printer made for professionals and quality conscious beginners. Perfect for your home and your business. Made for professionals and quality conscious beginners. Beautiful, clean, and functional design. 3D printing is changing the way we think about design, distribution, and manufacturing. Keep your workspace always safe and clean with the two cartridges and all the cables kept inside. 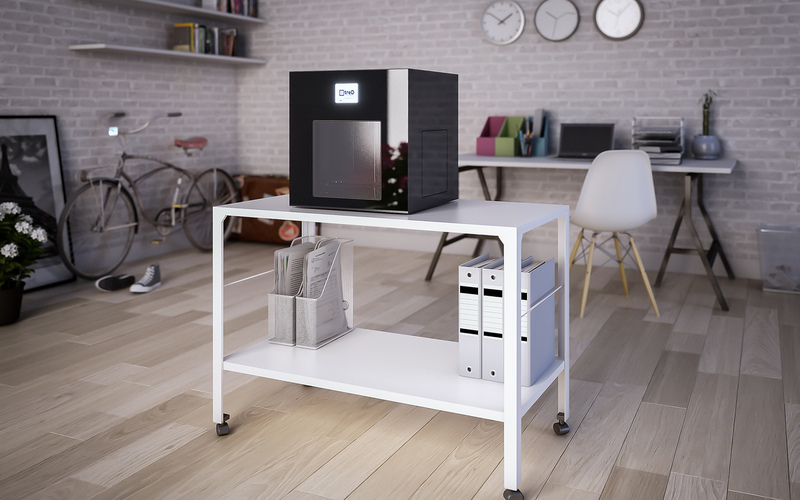 In just 40cmX40cmX40cm you have a 20X20X20cm closed frame build area and all you need to successfully achieve your projects. 3D printing is the fute. It’s easy to carry and you can even decide to customize the look and feel choosing between a range of beautiful colors. Print easily, even without your laptop! 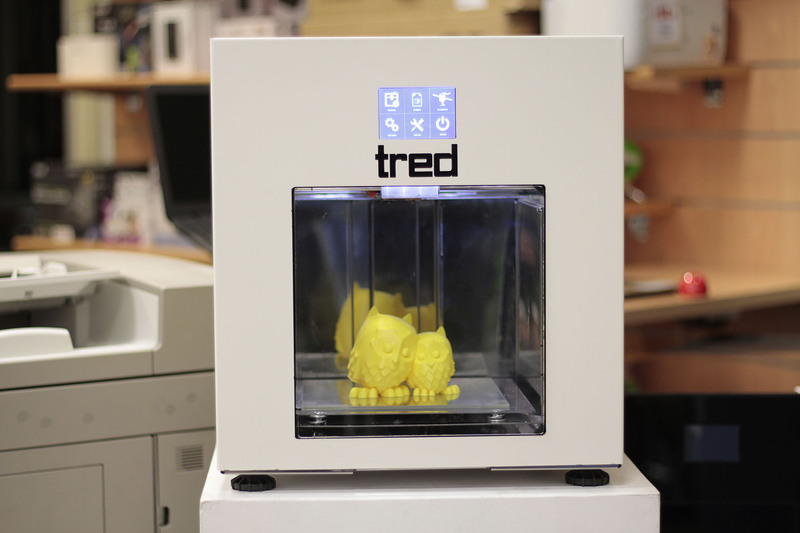 Tred Q_Be has been built with the end user in mind in order to make the printing process easy and customizable. 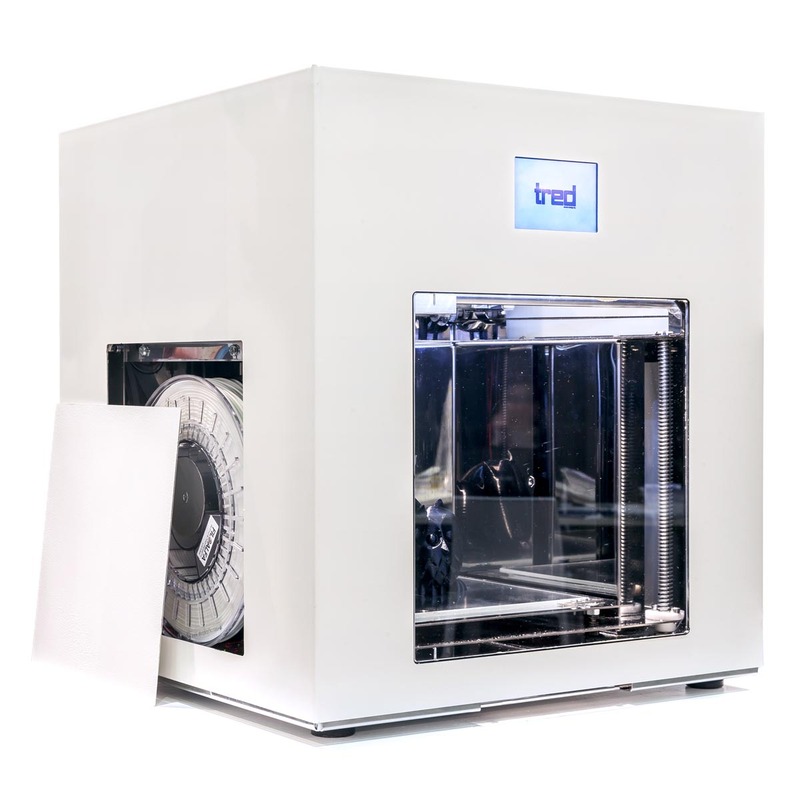 The touch interface allows to control your printing both from the 3D prining and your computer so that you don’t have to worry about anything. Tred Q_be has built-in wireless functionality, sd card slot, ethernet and a dedicated app to directly send your files to the printer easily. We have made it to allow you print in every condition. Visualize the progress in real time and control all your printing parameters directly from the printer using our beautiful and clean user interface. All the process of setting up and printing can be controlled without using your laptop. 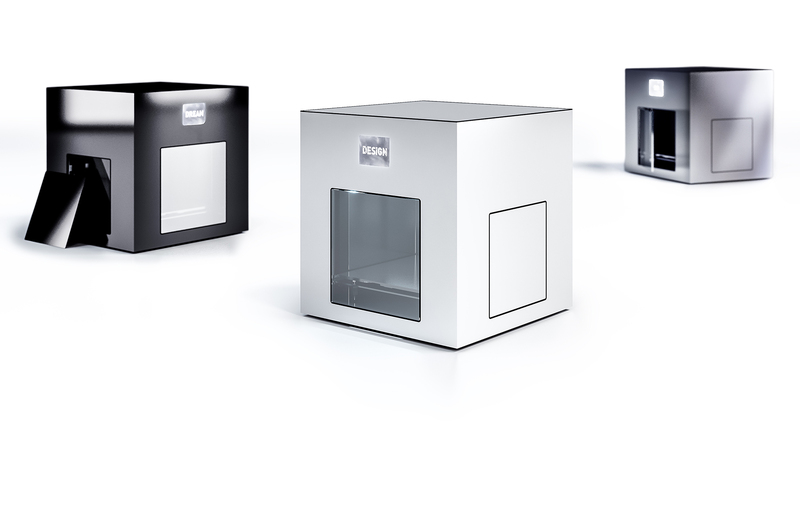 Boost your creativity using the two extruders to print in two colours or expand the potential of your printer easily managing support structures to print a variety of detailed and complex parts. 3D printing. Made with top quality materials. Built to resist. 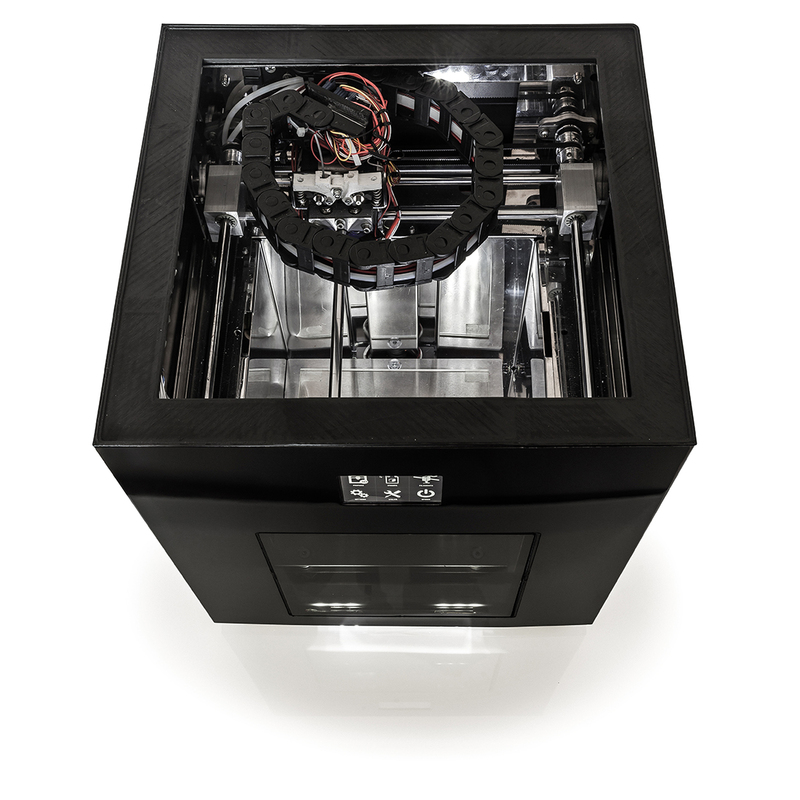 The body is made entirely in steel to resist vibrations and the three axis system allows to maintain the print bed stable even after a carry. No more frequent annoying calibrations,just plug and print! 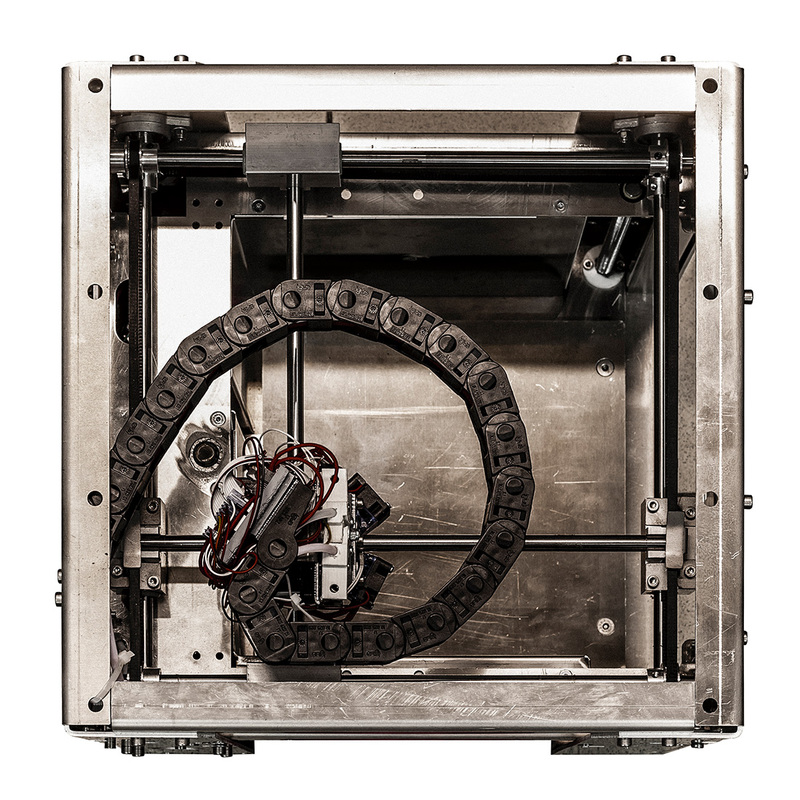 Easily manage support structures to print a variety of complex and detailed parts or use the two extruders to print in two colours. 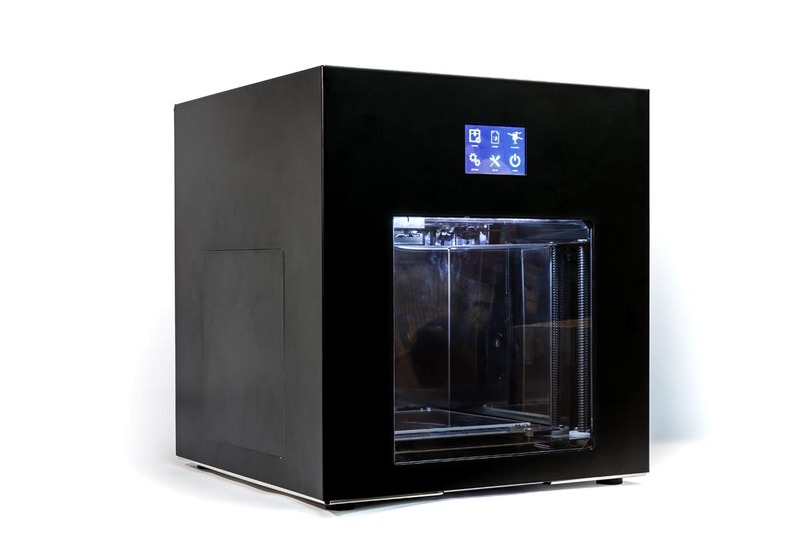 Contact us for more info of our 3D printer.